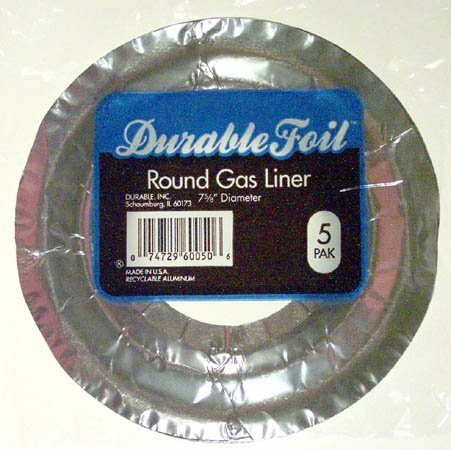 Wholesale Round Gas Range Foil Bib 7.6" by Durable. Helps keep burner free from food, grime, debris and drippings Makes cleaning your stove top a breeze. Great for camping and RV stove. Recyclable aluminum. Made in USA. 5 liners per package, 12 per case. 36 liners total per order. If you have any questions about this product by DURABLE FOIL, contact us by completing and submitting the form below. If you are looking for a specif part number, please include it with your message.